An analysis of Great Expectations shows that characters with less than worthy motives fail to achieve happiness. Pip dreams of being a gentleman to impress Estella. He becomes a gentleman and with his new found wealth accrues several debts and with his new found status does little to better his society, shunning those who were good to him–Joe and Biddy–for those who belittle him. He becomes Estella’s bootlick instead of her paramour. The ultimate irony is Pip’s status is dependent on a convict, exiled for life for a multitude of crimes. 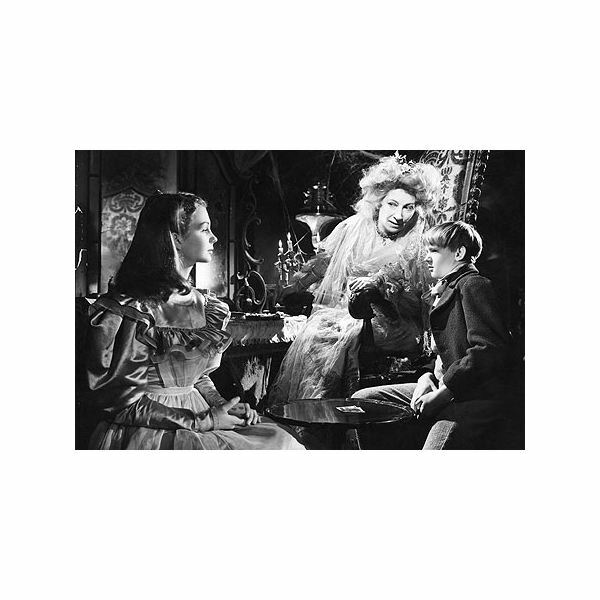 Miss Havisham’s dream of raising a daughter and shielding her from the cruelties of men does not protect her from the cruelties of Bentley Drummle. Havisham’s efforts to use Estella as an instrument of revenge on all men backfires as she realizes her machinations have caused Pip to endure pain. Abel Magwitch dreams of producing a gentleman, but does not realize his schemes have failed. The characters who possess an innate goodness receive goodness in return, regardless of social status or wealth. Joe Gargery endures Pip’s snobbishness with magnanimity, never bad-mouthing him, always forgiving him, nursing him back to health, and paying Pip’s debts. Despite having an abusive, alcoholic father, Joe bears no ill-feelings. He withstands Mrs. Joe’s abusive nature for fear of being like his father and only regrets not being able to spare Pip the beatings, confessing that if he could, he would endure them all. In the end, Joe marries a good woman, Biddy, raises a family, and spends his days happily. Herbert Pocket befriends Pip and teaches him proper London manners. Herbert works hard and shows compassion. Pip recognizes the bad influence he has on Herbert and anonymously establishes Herbert in business. Wemmick provides comic relief and sage wisdom. He diligently tends to his aged father and treats his bride with respect and love. People can change, though some choose not to. Pip eventually realizes his great expectations, but not in the way he envisions. He sees the error of his ways and understands that happiness comes through doing good to others, as displayed by his treatment of Provis and Herbert, not through social status or wealth. His reconciliation with Joe demonstrates his willingness to embrace goodness, regardless of status. Miss Havisham realizes the pain she has caused and seeks forgiveness by assisting Pip’s desires to help Herbert. Her apology is sincere and her repentance true. She symbolically purges her sins by setting herself on fire, an act which destroys the rottenness of her tomb. She also serves as a lesson for Pip on how not to act. Pip speculates that “in shutting out the light of day, she had shut out infinitely more; that, in seclusion, she had secluded herself from a thousand natural healing influences; that, her mind, brooding solitary, had grown diseased, as all minds do and must and will that reverse the appointed order of their Maker” (Chapter 49). Abel Magwitch attempts to make up for a life of crime by becoming the benefactor of a young boy who helps him on the marshes. Although he is recaptured and sentenced to die, he does so in peace, with his gentleman beside him. Dickens, Charles. Great Expectations. St. Paul: EMC Paradigm Publishing, 1998.